(Beyond Pesticides, February 21, 2019) In 2018, the Environmental Protection Agency (EPA) approved 16.2 million acres of crops to be sprayed with the bee-toxic insecticide sulfoxaflor under an emergency exemption. Sulfoxaflor was used in 18 different states on cotton and sorghum — plants known to attract bees. In response to a lawsuit headed by beekeepers, the EPA reclassified sulfoxaflor in 2016 and, recognizing its toxicity to bees, prohibited use on crops that draw in these pollinators. However, Section 18 of the Federal Insecticide, Fungicide, and Rodenticide Act (FIFRA) gives the EPA authority to permit temporary emergency use of unapproved pesticides. This loophole is used regularly in response to predictable stressors. “Emergency” use was approved 78 times for sulfoxaflor on sorghum and cotton between 2012-2017. Sulfoxaflor is a systemic insecticide that acts similarly to neonicotinoid pesticides. After application, the chemical is absorbed and distributed throughout the plant, including pollen and nectar. These kinds of chemicals are selective agonists of insects’ nicotinic acetylcholine receptors—they bind to the receptor and cause it to activate. The impact on foraging bees is sublethal, but devastating on a population level. Even at low levels, sulfoxaflor impairs reproduction and reduces bumblebee colony size. 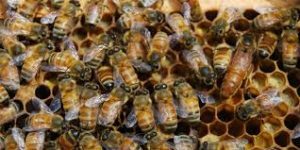 Sufloxaflor is functionally identical to the pesticide imidacloprid, which negatively impacts foraging and immune responses in bees. The EPA’s Office of Inspector General (OIG) has recognized the broad misuse of Section 18. A 2018 report from OIG notes that EPA “does not have outcome measures in place to determine how well the emergency exemption process maintains human health and environmental safeguards.” Section 18 is intended to be utilized for unanticipated, urgent, and short-lived pest situations. Instead, it is harnessed as an effective, chronic workaround FIFRA registration and appropriate limits of use. With 41% of insects on the fast track to extinction, advocates say that EPA’s continued malfeasance is unacceptable. The consequences of ignoring the impact of toxic pesticides in favor of short-term gains in crop yields are not hypothetical or minute. A third of worldwide food production is owed to pollinators, and they are disappearing fast. There is a real emergency at hand. Beyond Pesticides has long pushed for a precautionary approach to pesticide approval and use. Considering the insect apocalypse (among other environmental catastrophes), it is absolutely necessary to not only limit use of specific toxic pesticides, but also promote regenerative and organic practices. You can write to your Congressional legislators and urge them to close the Section 18 emergency loophole and adopt all the suggestions of the Office of the Inspector General. If you are looking for a hands-on way to support your local pollinators, you can utilize Beyond Pesticides’ BEE Protective Habitat Guide this spring. This entry was posted on Thursday, February 21st, 2019 at 12:00 am	and is filed under Agriculture, Pollinators, Sulfoxaflor, Uncategorized. You can follow any responses to this entry through the RSS 2.0 feed. You can skip to the end and leave a response. Pinging is currently not allowed.